Most DAR work is accomplished through a committee system led by committee chairmen. Committees provide opportunities for friendship and collaboration, while promoting the goals of our chapter, state, and National Society. Some committee work can even be accomplished online using technology to connect our chapter with the community. Your fresh ideas and enthusiasm are important to us! We encourage participation anywhere you have a want, ability, or interest to get involved! American Indians: DAR has assisted American Indians with financial and scholarship aid since 1936. Over $75,000 is contributed yearly. Conservation: Encourages study of and participation in conservation efforts. Constitution Week: DAR sponsors special programs during the week of September 17-23 to inform and educate the public about the United States Constitution. This week-long celebration of the Constitution was initiated by the DAR in 1955 and adopted by the U.S. Congress in 1956. 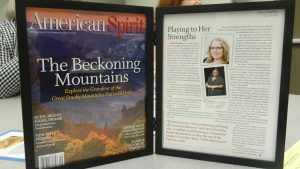 DAR Magazine: American Spirit magazine and Daughters newsletter are published bimonthly to inform and motivate the membership to raise the visibility of the National Society within the community. DAR Scholarship: More than $80,000 for NSDAR American History, Political Science, History, Government, Historic Preservation, Economics, Music, Nursing, Medical, and Occupational Therapy scholarships available annually. DAR School: Support given to Kate Duncan Smith DAR School, Alabama; Tamassee DAR School, South Carolina; Berry College, Georgia; Crossnore School, North Carolina; Hillside School, Massachusetts; Hindman Settlement School, Kentucky. Junior American Citizens: Citizenship training program for boys and girls, kindergarten through high school. JAC clubs are available to parochial, private, public, and home-schooled students, as well as in community centers. 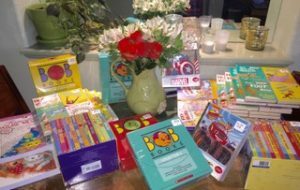 Literacy Promotion: Promotes adult literacy and involvement in literacy programs for children and adults. Program: Supplies a variety of programs available on slides, video, DVD and other formats for use as chapter programs. Public Relations and Media: Promotes DAR objectives and accomplishments in all available media to increase public support and awareness of DAR’s work. Women’s Issues: Educates the members about current issues that are important to today’s women such as health, career, and family. American Heritage: Promotes preservation of American cultural traditions. 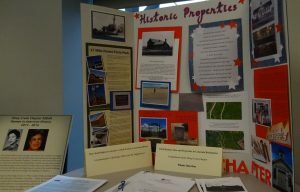 American History: Sponsors American History Essay contests for students in grades 5 through 8, including home-schooled children. 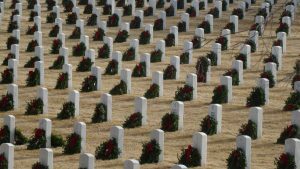 Commemorative Events: Identifies opportunities for commemorative events and promotes participation in celebrations that support the historical, educational, and patriotic objectives of the Society. DAR Genealogy Preservation: More than 20,000 volumes of unpublished source records have been copied and bound for the DAR Library. DAR Museum Outreach: Responsible for informing members and the public about the DAR Museum and its exhibits, programs, and needs. Genealogical Records: Collects and indexes unpublished records of a genealogical nature and prepares them for binding and placement in the DAR Library. Historic Preservation: Oversees the awarding of the Historic Preservation Medal and Historic Preservation Recognition Award, supervises the Historic Preservation Project Contest, and documents historic site preservation and research. 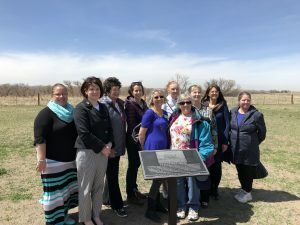 President General’s Project: “Honoring Our Heritage ~ Focusing on the Future ~ Celebrating America” expresses the ideals and true spirit of the Daughters of the American Revolution. For more than a century, DAR members around the world have worked to promote historic preservation, education, and patriotism. Special Projects Grants: Distributes grant funds to provide financial support at the community level for projects that support the three DAR mission areas: historic preservation, education and patriotism. Americanism: Promotes knowledge, loyalty and love of country for American citizens, whether naturalized or citizens by birth; awards the DAR Medal of Honor and the DAR Americanism Medal. Celebrate America! 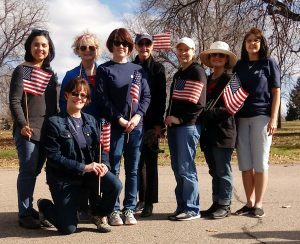 : Members are encouraged to provide service within their communities to support the motto of the NSDAR of “God, Home and Country” and speak to the promotion of historic preservation, education, and/or patriotism. Children of the American Revolution: Founded in 1895 by DAR, this committee provides patriotism and leadership training to today’s youth. Community Service Awards: Recognition given to local citizens for outstanding achievements in cultural, educational, humanitarian, patriotic, and citizenship work in their communities. DAR Good Citizens: Promotes dependability, service, leadership, and patriotism among high school seniors by presenting national and state awards. DAR Project Patriot: Organizes and coordinates DAR support for members of the military currently serving our country. DAR Service for Veterans: As a member of the national Veterans Administration Voluntary Service Advisory Committee, DAR has representatives in Veterans Administration (VA) medical centers. DAR members volunteer in VA facilities and in state/community-based programs, donating gifts, cash, personal care items, and thousands of hours of time in service to America’s veterans. 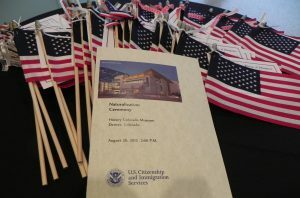 National Defense: Citizenship Awards are presented to elementary through high school students. ROTC Medals are awarded to student cadets of outstanding ability and achievement in high school, junior college, college, or university ROTC programs of the Army, Navy, Air Force, Marine Corps, and the Naval Sea Cadet Units. The Flag of the United States of America: Thousands of flags, flag codes, certificates, and other patriotic literature distributed annually. 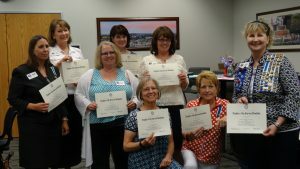 Chapter Achievement Awards: Provides recognition for chapters who have been successful in supporting the DAR’s varied programs and activities. 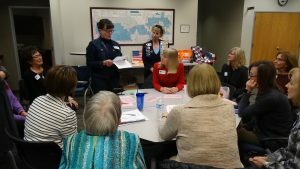 DAR Leadership Training: Provides materials and assistance to develop leadership skills in DAR members at the chapter, state, and national levels. Friends of the Library: Works on important fundraising tools to assist the Library and the Seimes Technology Center with special projects. Insignia: Oversees the proper use and placement of the insignia, official ribbon and placement of the various service bars and pins; reviews all proposals for new pins. Junior Membership: Involved in gaining new Junior members and helping them become well-informed members; encourages active participation in all phases of DAR service and supports the national committee’s official fundraising project, the Helen Pouch Memorial Fund. Lineage Research: Knowledgeable members research for source documentation to assist prospective members complete their applications; conducts workshops. Membership: Promotes increased membership by providing ideas for membership development and promotion. Units Overseas: Promotes the organizing of new overseas chapters, and provides assistance and support to existing chapters. 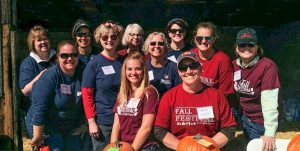 Volunteer Genealogists: Disseminates information regarding current standards of verification; conducts Volunteer Field Genealogist workshops; establishes new patriots and new children of existing patriots; and assists prospective members with research and completion of applications. Volunteer Information Specialists: Approves chapter and state public websites; maintains the Members’ Website; donates thousands of hours to build databases as requested by the National Society. The content contained herein does not necessarily represent the position of the NSDAR. Hyperlinks to other sites are not the responsibility of the NSDAR, the state organizations, or individual DAR chapters. Membership inquiries can be made using our Contact Us form. This website was last updated on June 13, 2018 by the webmaster. Unless noted, photos courtesy of chapter members.